Choose any icon below to register for that Activity. 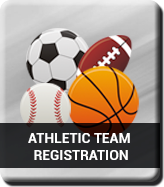 Students registering for Athletics must have the current physical examination on file in the nurse's office before the student is authorized to participate in practice/tryouts. 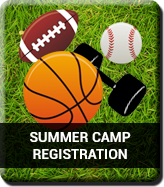 To ensure clearance for participation, physicals should be completed and turned in to the nurse no later than 3 school days prior to the first day of practice/tryouts. Physicals are valid for 12 months from date of the last exam. Download the Pre-Participation Physical Form HERE (to be completed by a physician).